L I V I A: INSTANT TEETH WHITENING FEAT. iWHITE INSTANT PROFESSIONAL TEETH WHITENING KIT REVIEW ! INSTANT TEETH WHITENING FEAT. iWHITE INSTANT PROFESSIONAL TEETH WHITENING KIT REVIEW ! 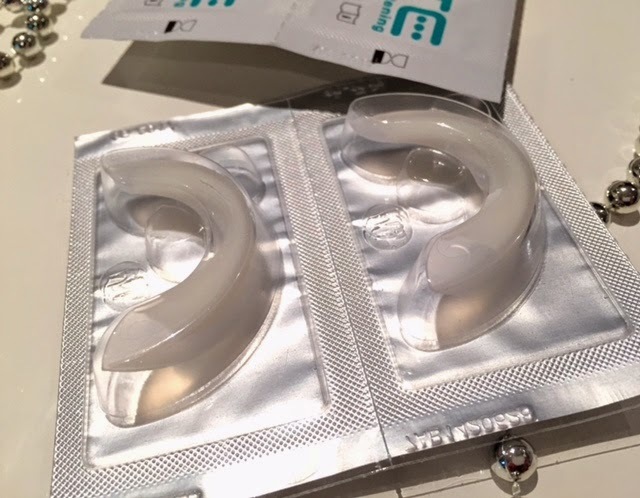 I hope you're well...and I thought I'd review something different - and you're in luck if you're shopping around for the perfect teeth whitening kit because in this post, I want to share my thoughts on the iWHITE Instant Teeth Whitening kit that I tried out last week. The kit is very easy to use and 100% safe (So you don't have to be afraid of this teeth whitening kit). How it works is that it contains 10 pre-filled ready to use trays which you just pop onto your teeth for 20 minutes. It comes with an instant whitening formula where the stain is actively removed and teeth is also strengthened at the same time! I wore this for 5 days for 20 minutes max and I've noticed more visible and whiter looking teeth. I constantly drink green and black tea everyday, so my teeth are always left looking stained. (Not a pretty sight) No matter how much I brush, the stains on my teeth won't budge. What's great about these pre-filled trays is that it's a ONE SIZE FITS ALL concept and where it's already filled with an active gel. No need to worry about its hygienic levels because each packet is individually sealed and packaged to use on the go.... or whenever you're in need of some teeth whitening session. I found that this instant whitening kit make my teeth instantly more whiter than other types of whitening products such as the paste. So each tray is for one use only and they're so easy and comfortable to use on your teeth. I've used this for already 5 consecutive days and already I am seeing less stains and I am happy about the colour of my teeth so far. Clean your hands with soap and warm water. Remove the pre-filled trays from the sealed packet and remove the tray to pop it onto your tooth's surface. It should fit snuggly in. Close your lips and mouth to ensure liquid on tray is squeezed onto your teeth section. Remove the tray from your teeth after 20 minutes! Rinse away any gel from your teeth. VOILA you have whiter looking shades. Overall I found this whitening kit to be simple and easy to use without any hassles. It's so convenient for if you wanted to accomplish a quick whitening fix to your teeth. I am giving this awesome kit a total 5/5 stars! Gives you whiter up to 7 shades. Leaves your teeth looking more bright. Pre-filled with film Crystallized Calcium technology. Actively removes stains on teeth. Flexible and ONE SIZE FITS ALL. Box comes with 10 pre-filled trays. Leave on for 20 minutes before rinsing off the gel. Thanks for reading guys and be sure to check this out the next time you're out shopping! Thank you KEY SUN LAB for supporting me for this review. My reviews are based on my personal and true experiences. I only recommend products that I truly support.